Avon, CT. With a bustling family of four, these homeowners realized that things could quickly become cramped when spending summers indoors. 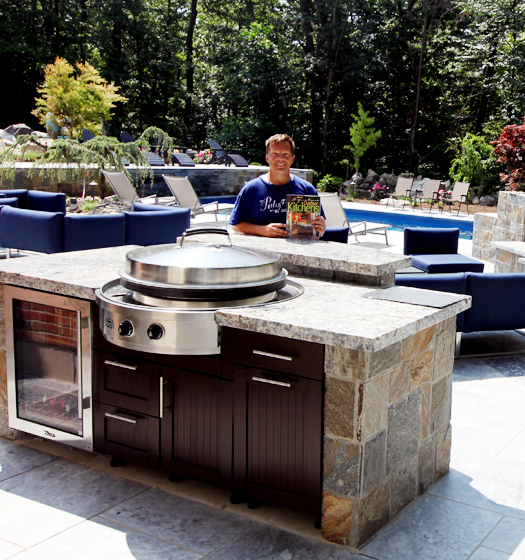 The solution to their seasonal doldrums was the creation of an entirely new outdoor living space designed and executed by Michael Gotowala of Preferred Properties Landscaping & Masonry. 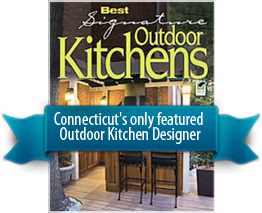 Gotowala’s key to providing extraordinary outdoor living spaces is his meticulous attention to detail, which can be seen in the design and materials used in this outdoor kitchen. The space itself consists of two levels, with the upper level featuring a stone grill island and outdoor kitchen counter set on a mahogany, wrap-around deck with Romeo and Juliet balcony. Also on this level are a custom stone fireplace with curved wood bins and remote control as well as a custom hibachi griddle. 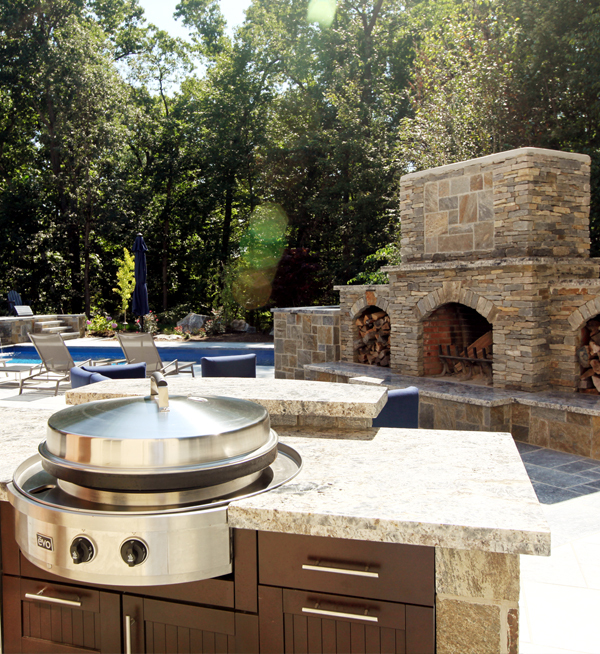 Underneath the waterproofed decking is an outdoor great room with a woodstove pizza oven. The great room features a heated marble floor, which is sandblasted and has an antique finish. Overhead heat is by Bromic Tungsten Electic. From this level, it is easy to step out to the Leisure fiberglass pool. Having moved beyond just grilling, Gotowala and team designed an outdoor space that rivals any resort—staycation anyone?